There are plenty of ways to celebrate art in Harbor Country and they’re all close to Firefly Resort. The Barrington Art Festival runs over Memorial Day weekend, May 25-26, 2013. The New Buffalo Artigras! is from June 15-16, 2013. And you can always catch something at Acorn Theater almost every weekend. Summer is on its way and that means one thing — it’s time for the beach! Whether your passion is to swim or build sandcastles, you’ll love the private beach just steps away from Firefly Resort’s cottages. 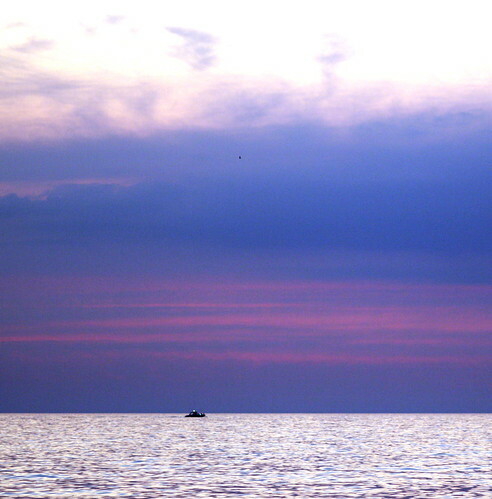 And at the end of the night, you’ll enjoy some of the best sunsets along the Lake Michigan coast. Go ahead – call 269-469-0245 to make your reservation today! Posted in Firefly Resort | Comments Off on We’re on Facebook! You are currently browsing the FireFly Resort blog archives for May, 2013.